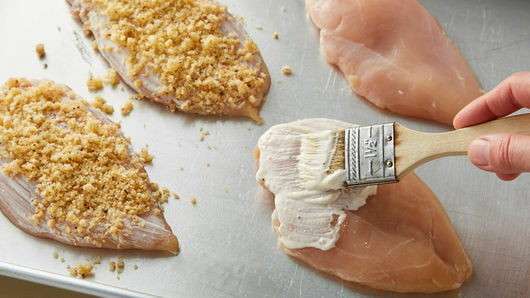 Place chicken on pan; brush tops of chicken with Caesar dressing. 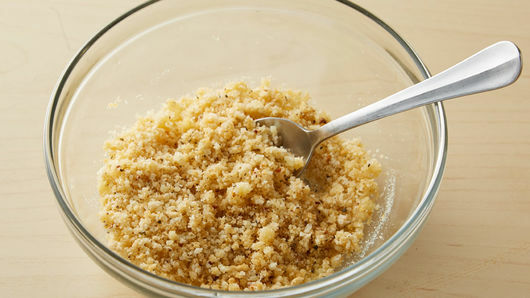 Sprinkle with bread crumb mixture, pressing slightly to stick. 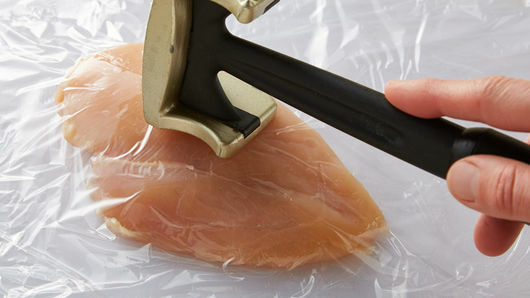 Bake 10 to 14 minutes or until juice of chicken is clear when center of thickest part is cut (at least 165°F). Garnish with chopped parsley. 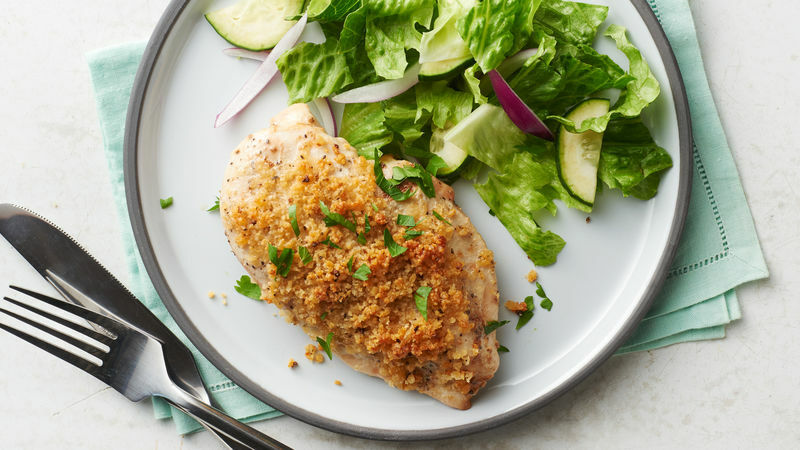 We love the flavor of refrigerated Caesar dressing, but other creamy shelf-stable brands will also work in this recipe. Plus up the Caesar flavors by serving extra dressing on the side, or make a Caesar salad to serve with the chicken.